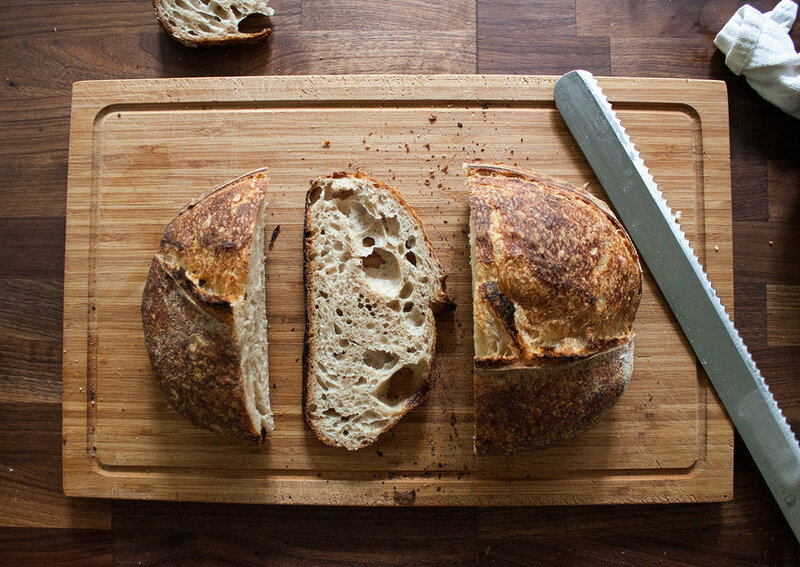 All of our breads contain no commercial yeast and are made with our own natural sourdough starter. As part of the lab we are constantly experimenting with new grains and new formulas, but over the past many months we've landed on a few great loaves that we feel like are worth doing again and again. Follow the blog or join the mailing list to hear more about our experimentation. Our basic country style sourdough. Made with mostly white flour with a small percentage of NY state whole wheat. It has a soft and open crumb and a very mild sour flavor. 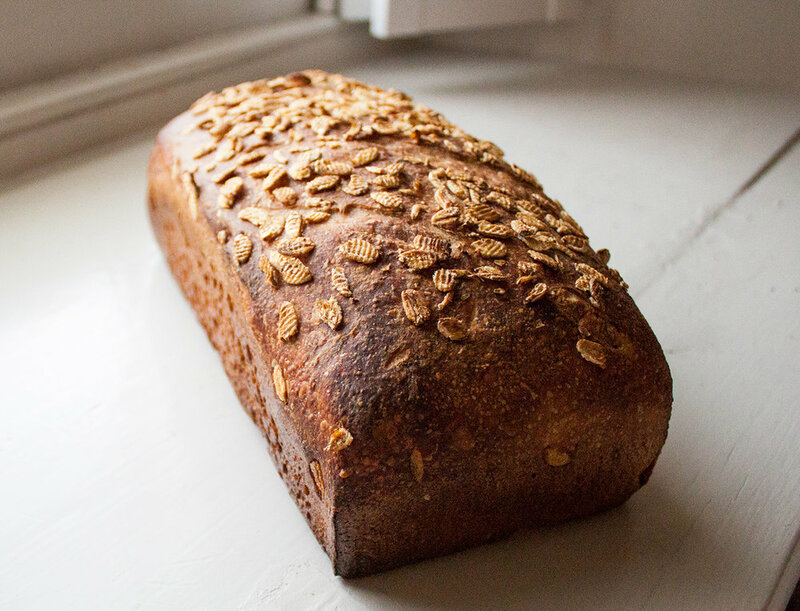 Einkorn is our favorite ancient grain. This is a mix of whole fresh milled einkorn, high-extraction NY state whole wheat and white flour. Coated in coarse ground einkorn wheat. Our signature bread made with 100% NY state grown and milled flour. A mix of high extraction flour and whole wheat gives this bread great flavor and nutrition without the feeling of a typical whole wheat bread. A homage to our favorite Italian bakeries in NYC, this loaf plays on the classic flavor combination while amplifying the wheat flavor with a good dose of whole wheat. Great for sandwiches or sopping up red sauce. A whole wheat pan-loaf made with fresh milled Kamut (Khorasan) grain. The long fermentation brings out the natural sweetness. This is the ultimate PB+J bread. This is our homage to the noble french style whole wheat bread. It is 100% whole wheat (a mix of red, spelt and rye grain) and is fermented over 48 hours giving it a tender texture and a very strong flavor. A good pairing for a strong wine and a hard cheese.